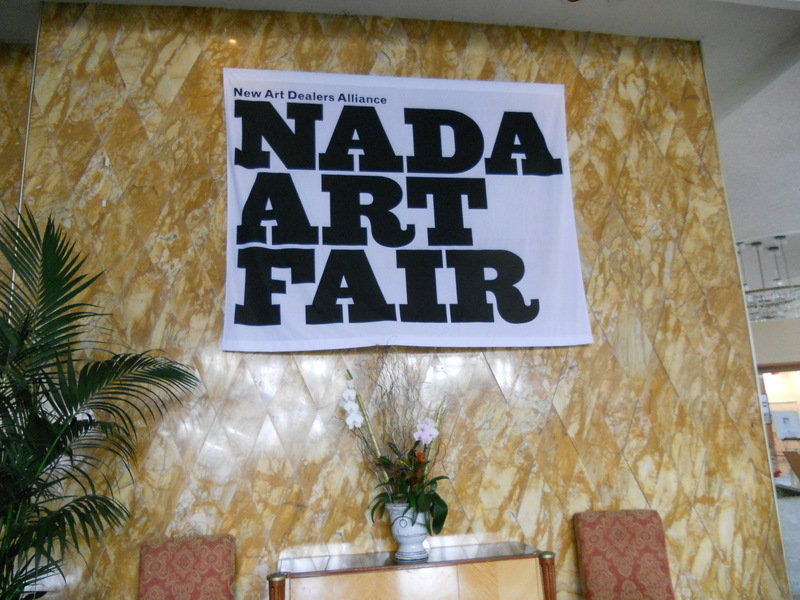 NADA – New Art Dealers Alliance – Fair is always such a pleasure to attend. Of all the hotel based fairs, NADA does it right at the gorgeous deco Deauville Beach Resort. As opposed to maze like cubes and harsh fluorescent lights, NADA’s spiraling floor design and the lustrous chandeliers create a flowing path which is the most pleasurable way to navigate through any fair. The art program is fun and edgy – New Art dealers assemble to bring forward the youngest and brightest new gallerists. Loved this installation at American Contemporary Gallery, metallic paintings at Studio Voltaire. Ryan Foerster at Ribordy Contemporary, series of paintings at Recess, Yamini Nayer photos at Thomas Erben Gallery. Dynamic photo montages at Clifton Benevento by Martin Soto Climent, dark electric photos at Fitzroy Gallery. John Hiltunen characateur montages at Creative Growth, the narrative book series at MKG127, painting by John Sparagana at Corbett vs Dempsey. 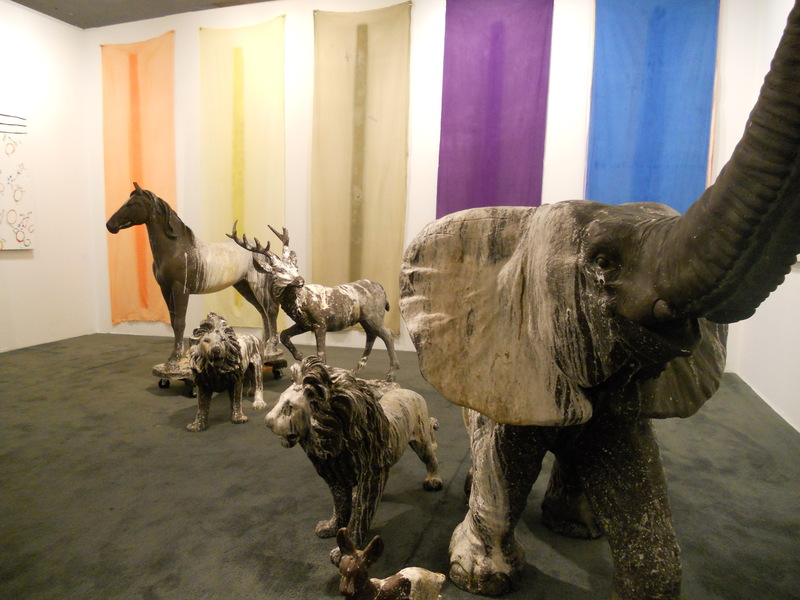 Best curated booths go to Curro & Poncho, and Cumulus Studio‘s installation. Compellingly strange works at Kate Werble whose booth was wrapped in trash bags, Country Club, and Hole Gallery.